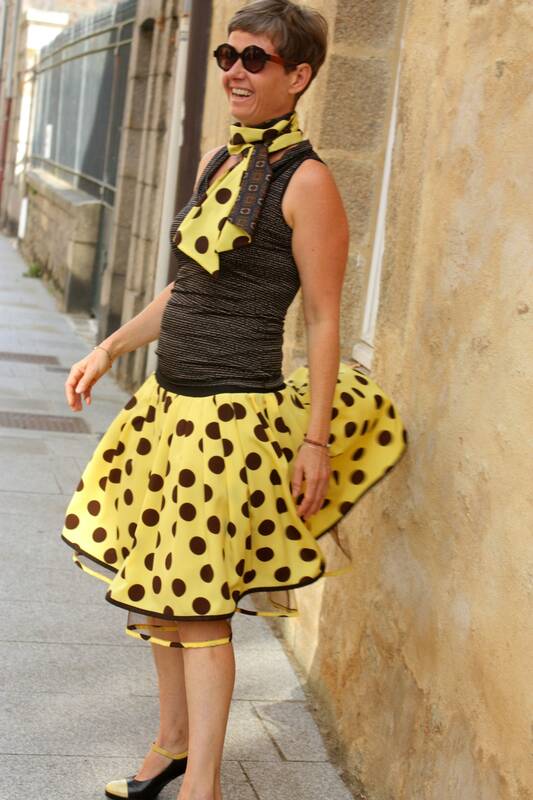 Retro Fifties New yellow large polka dot Brown skirt. 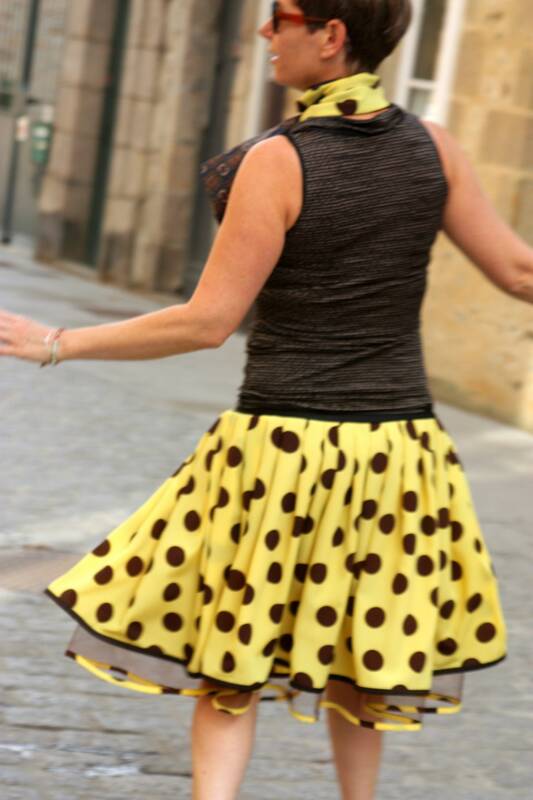 Rock Rockabilly Swing skirt pleated skirt. Polka dot viscose fabric, Tulle and lining. to check availability of fabrics.